Hypomobile sacroiliac joint conditions describe an atypical lack of movement in the SI joint that is sometimes deemed to be symptomatic. Joint hypomobility is also sometimes diagnosed as sacroiliac fixation, sacroiliac organic fusion, sacroiliac rigidity or a taut or tight sacroiliac. All of these diagnoses mean the same thing, but should not be mistaken for joint fixation or joint fusion which refer to surgical treatment used to purposefully stop all motion in the joint. Hypomobility in the SI joint is one of the most controversial of all SIJ pain concerns. This is because a normal SI joint might express as little as 2% movement, so it is really difficult to imagine that loss of such a small degree of movement would cause such serious symptoms as reported by some patients. Furthermore, it is well known that many people demonstrate naturally fused SI joints due to congenital design, age or deterioration, yet have no pain whatsoever. These facts fuel continuing debates over the validity of overly taut SI joints among patients and care providers alike. This essay details hypomobility of the SI joint. We will explain the reasons why hypomobility can occur, as well as what can be done to rectify symptomatic and overly taut sacroiliac joints. 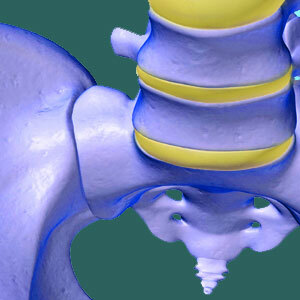 For a very long time, the SI joint was considered to be fused in normal adults. However, modern medical science eventually came to the conclusion that the joint did indeed move, although in very modest and highly regulated amounts. Once this fact was established, doctors began to encounter patients who did not demonstrate movement in their SI joints to any noticeable degree and who also had pain. 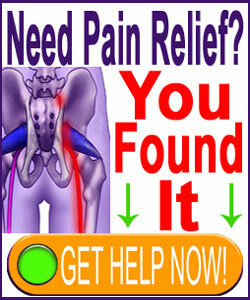 It was not long before this pain was blamed upon the “frozen sacroiliac joint”. Hypomobility can theoretically mean decreased movement in the SI joint when compared to normal. However, since the range of “normal” movement spans 2 to 18 degrees according to accepted standards, this is still a highly ambiguous definition. After all, a person who is supposed to have 18 degrees movement in their joint should be diagnosed as having a hypomobile sacroiliac if they suddenly only demonstrate 10 degrees of movement. Meanwhile, someone else might receive a normal evaluation of the joint at 2 degrees of movement, if this is usual for them. It is all very subjective. Typically, hypomobility is only diagnosed when the joint is basically fused and does not demonstrate any movement at all. Injury to the SIJ ligaments is the most commonly theorized source of tension in the joint. These soft tissue traumas can come from known or unknown circumstances. Structural degeneration of the SI joint is another leading cause of fusion. Ankylosing spondylitis, rheumatoid arthritis and other autoimmune disease often result in complete organic fixation of the joint. Extreme osteoarthritic accumulation n the SI joint might lead to organic fusion, mostly in the elderly. Some women who experience multiple births, or people with other causes of hypermobility earlier in life, may eventually demonstrate the opposite condition of hypomobility. These are the most suspect cases from an objective diagnostic point of view. Some doctors theorize that their bodies organically over-correct ligament laxity. Hypomobile sacroiliac joint dysfunction is more difficult to treat with exercises when compared to SIJ laxity. However, a concerted effort of stretches and exercises can help to slowly mobilize some joints. These techniques are more effective for muscle-imbalances that lead to SIJ hypermobility due to surrounding soft tissue tension. For disease and arthritic-induced organic fusion due to joint changes, there is little to be done, except the possibility for creating a better and less symptomatic fusion using invasive surgery. Rarely, structural joint tension can be undone with conservative methods, but these circumstances are rare and might not actually involve the presence of any objective hypomobility of the joint. Some hypomobility conditions respond favorably to symptom-based care, such as massage, chiropractic and acupuncture. These methods are surely preferred for pain management when compared to the more dangerous path offered by toxic pharmaceutical products, such as prescription medications.